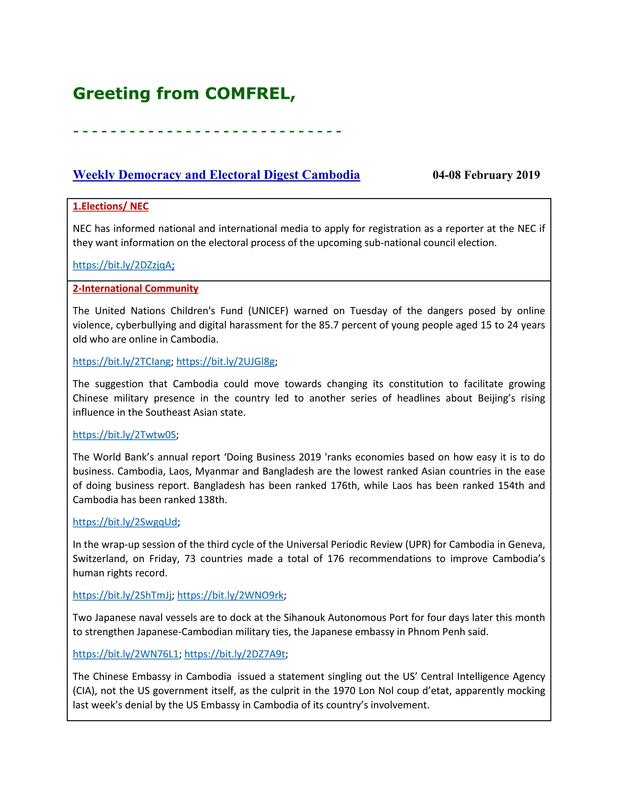 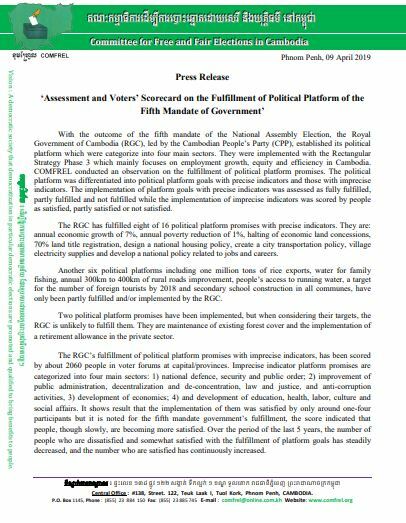 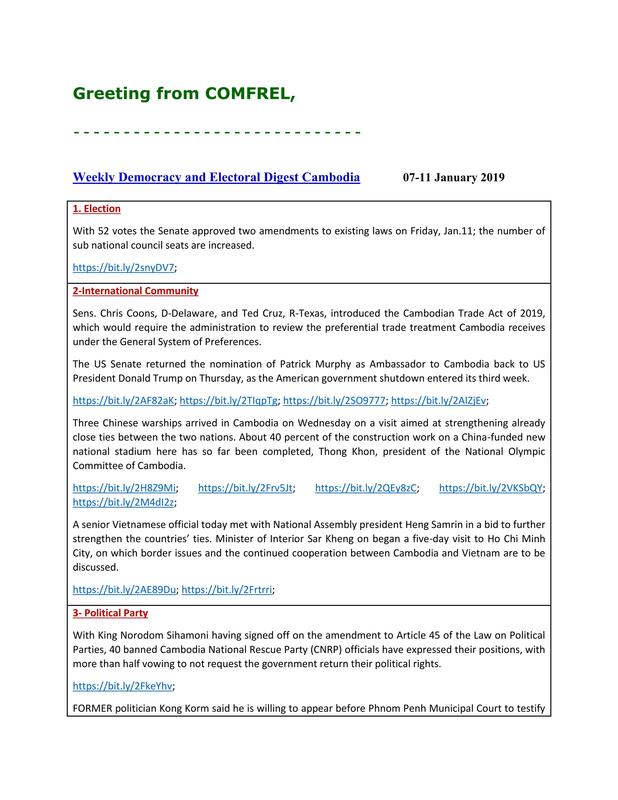 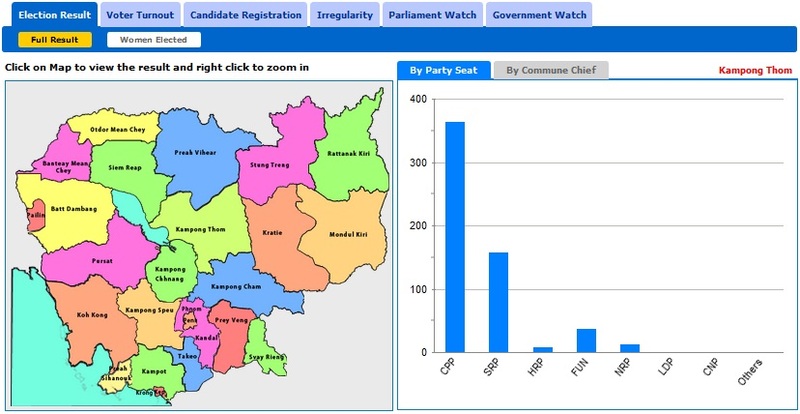 With the outcome of the fifth mandate of the National Assembly Election, the Royal Government of Cambodia (RGC), led by the Cambodian People’s Party (CPP), established its political platform which were categorize into four main sectors. 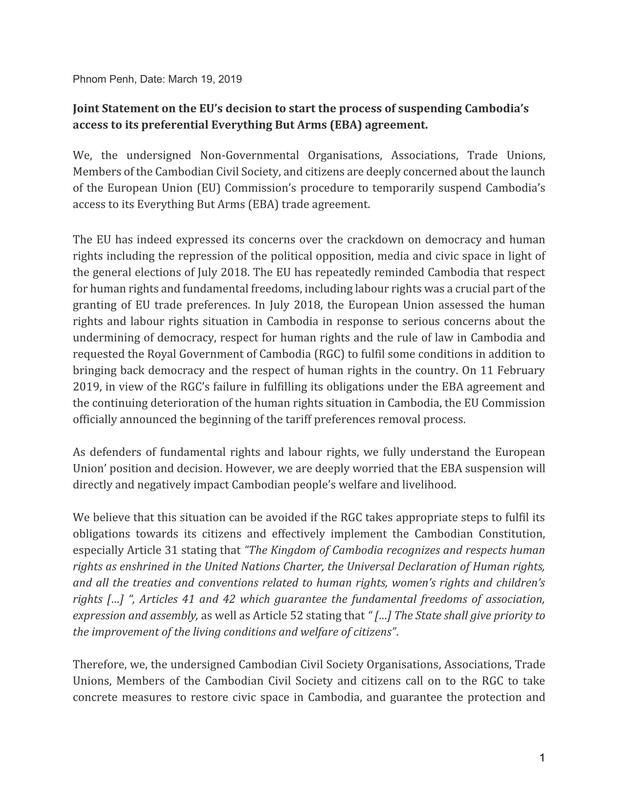 Joint Statement on the EU’s decision to start the process of suspending Cambodia’s access to its preferential Everything But Arms (EBA) agreement. 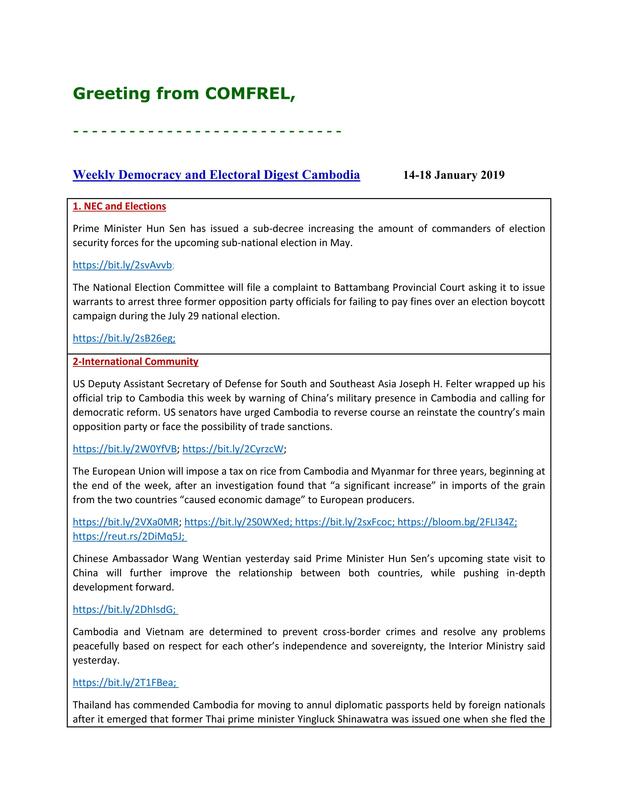 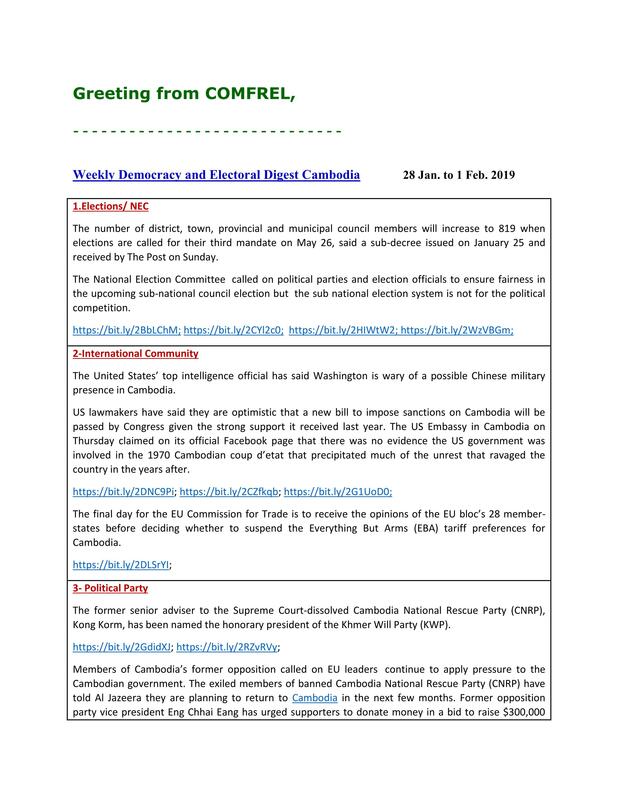 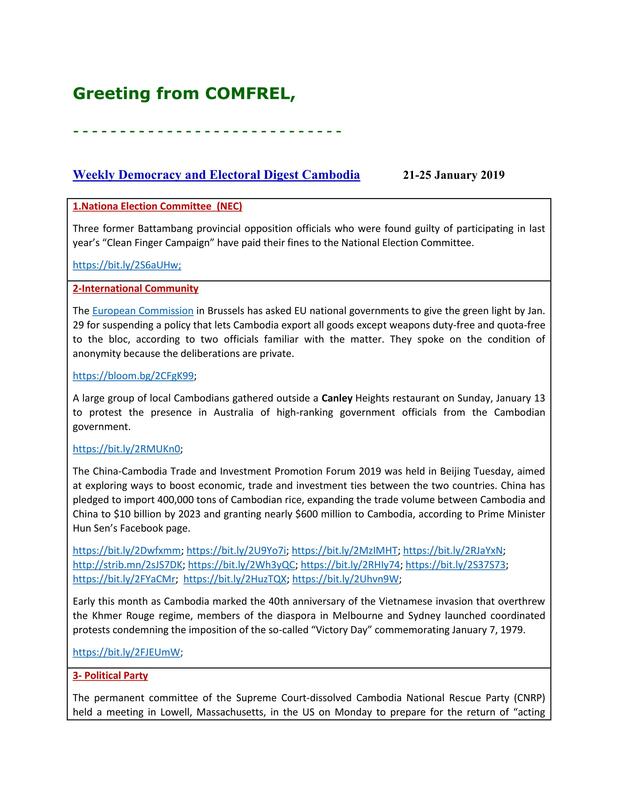 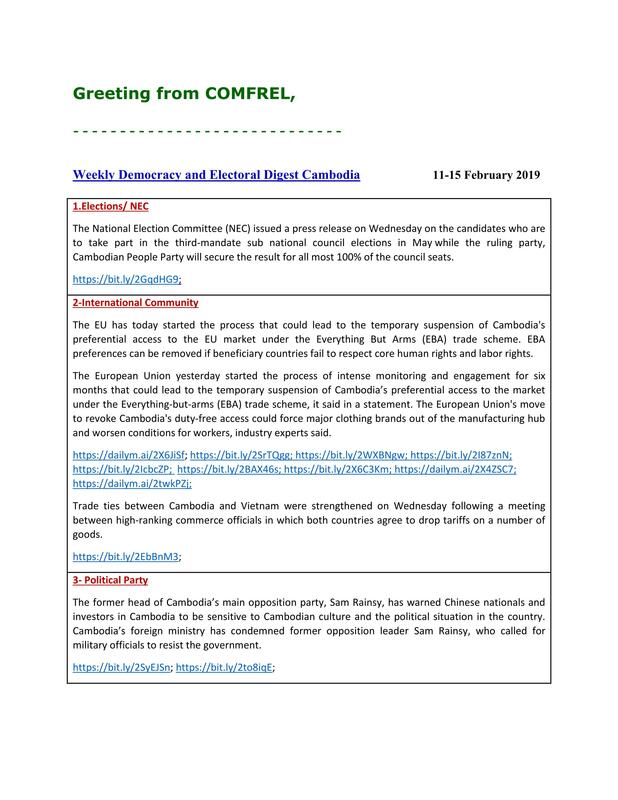 We, the undersigned Non-Governmental Organisations, Associations, Trade Unions, Members of the Cambodian Civil Society, and citizens are deeply concerned about the launch of the European Union (EU) Commission’s procedure to temporarily suspend Cambodia’s access to its Everything But Arms (EBA) trade agreement.